HOUSTON (AP) — The nice old man near Old Town Spring calls 911 every month or so to complain about people hiding in the attic of his home. The Houston Chronicle reports there’s nothing there, of course, except the inventions of his dementia and schizoaffective disorder. But he’s now on a first-name basis with the Sheriff’s Office Crisis Intervention Response Team. They don’t arrest him, not even when they find 55 gallons of gasoline stashed in the attic to keep out the imaginary people. 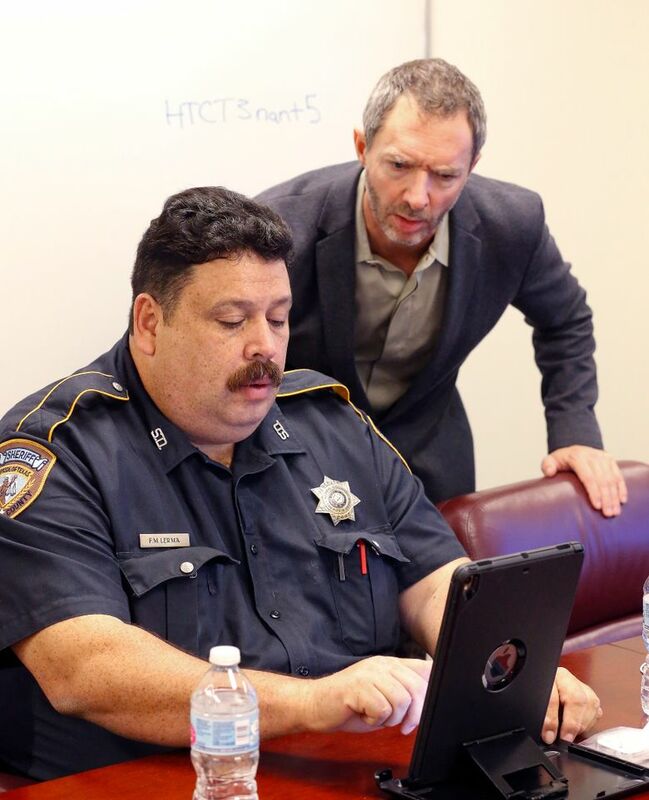 Now the Harris County Sheriff’s Office may have a better solution. 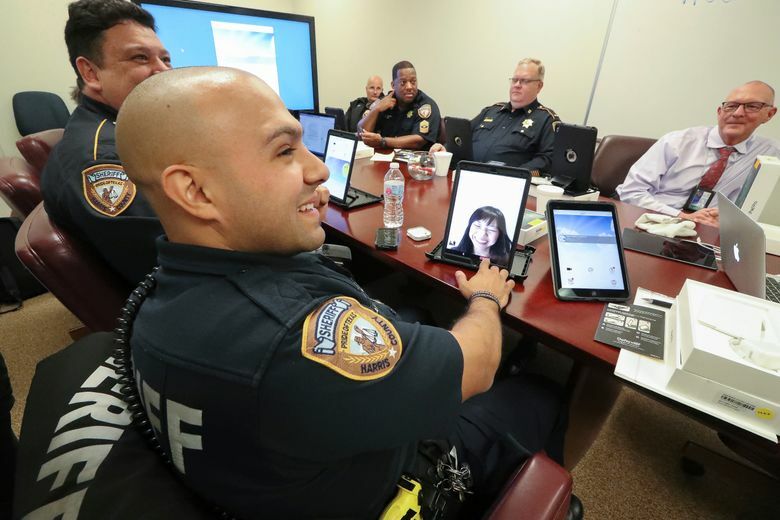 A new telepsychiatry pilot program will arm deputies with tablets equipped to dial in to psychiatrists for urgent video chats, offering professional help out in the field to people who don’t necessarily need to go to jail or an emergency room. The program, which started Tuesday, is believed to be the first of its kind in the country, officials said. Telepsychiatry programs are already in use in some county jails and juvenile lockups, but the possibility of using it in the field is the brainchild of Dr. Avrim Fishkind, a psychiatrist who is CEO of Houston-based JSA Health Corp.
Now, they’ll be on call 24/7. But aside from making psychiatrists more accessible to those in the throes of a mental health crisis, the program could end up saving the county money. Fishkind’s company, founded in 2007, already makes use of a fleet of some 70 psychiatrists to offer telemedicine services from California to Louisiana. But those services weren’t portable; most of the clients were hospitals and community clinics. So to bring the concept to the streets, he approached Cloud 9, an Austin-based startup that had already developed an app to let psychiatrists securely video chat with clients in their homes. With a few tweaks to the software, developers were able to make the program work for first responders in the field. Verizon pitched in to offer free use of tablets and the cellular network, and the pilot was born. The program will run for eight weeks or until it’s used in 25 to 30 calls, whichever comes first, according to Frank Webb, an HCSO project manager. 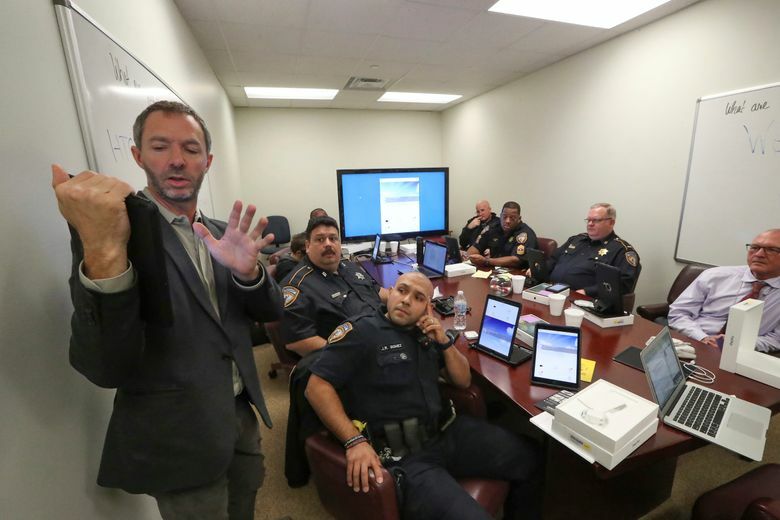 For starters, only a handful of deputies and supervisors will carry around the telepsych-equipped tablets. The logistics are straightforward. When a deputy or the Crisis Intervention Response Team is dispatched to a call involving a mental health crisis, they can dial in to JSA and alert them. Then, according to JSA clinical operations manager Terrie Mayfield, the call goes into a queue for help, and by the time they arrive a psychiatrist can be on standby. After a video chat session, the psychiatrist will be able to help frame a solution. So the next time the elderly man in Spring dials 911, a deputy could rush to the scene with help in hand. And the CIRT team could direct its resources to higher-level crises. It will be work better for some scenarios than for others. “If we are called for someone being suicidal and then we get there and say they’re not — that would be perfect for this program,” sheriff’s Deputy Don Hess said during a training session at JSA earlier this month. “But a guy naked with underwear on his head in the middle of the roadway? Meh, we’ll probably leave this in the car,” he said, gesturing to a tablet on the table. In some cases, the telepsych consult will lead to a referral to the NeuroPsychiatric Center — or, if that’s full, the emergency room or hospital. But in other cases, the psychiatrist might determine there’s no threat, call in a prescription, or recommend other counseling. “The goals are to reduce the transportation of patients to the hospital, and see if we can resolve some of these situations in the field and utilize other resources,” Webb said. In theory, having a clinician on call at all times could achieve that goal. But that’s a pricey proposition, and guessing where to deploy a professional could be a challenge in an area the size of Harris County. Greg Hansch, public policy director with National Alliance on Mental Illness Texas, offered glowing support for the program. But despite the optimism, everyone involved admitted it’s not clear that the project will work. Will people in crisis on the street want to get help through an app? Will deputies feel comfortable using it? How soon should they make the call for help? “A lot of the pilot is just to test the viability and the technology of doing this,” Fishkind said. But if it does work, Fishkind has ambitious dreams for the future.